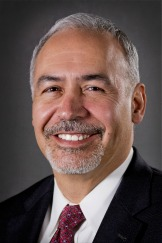 Automotive veteran, Tony Gomez, joins CallRevu’s ranks as Chief Operating Officer to further serve the growth of the company. I am truly passionate about what the people at CallRevu do and the bigger vision that they serve. CallRevu, automotive’s top performing call monitoring solution, announced the recent addition of Tony Gomez to the company’s executive team to continue to meet the needs of the growing workforce and expanding dealer partner demand. Tony brings a wealth of knowledge to the company with 27 years of automotive experience. Tony’s accomplishments include his service in the United States Marine Corps, fulfilling the roles of General Manager and Dealer Principal for an automotive group, acting as a Senior Automotive Consultant, and operating as a Platform President. Tony’s new role as C.O.O. will focus on maintaining CallRevu’s renown customer service standards and its culture of customer advocacy. Chip King, Owner and Managing Partner, had this to say about CallRevu’s newest addition, “We are excited to have Tony join the team as our Chief Operating Officer. CallRevu will double in size this year, and Tony’s history as Dealer Principal, Director of Operations of a large successful automotive platform, and respected industry consultant and trainer will be a perfect addition to our leadership team." With 100,000+ lines, millions of calls tracked and monitored for automotive only, CallRevu is the industry standard and with unparalleled experience. Offering dealer partners a range of quality call tracking, monitoring, measuring, and lead development services, CallRevu’s key focus is to help automobile dealers measure and improve the most common contact point with their customers: the phone. More information on the company’s notable achievements, services provided, key leadership, and history can be found at http://www.callrevu.com.